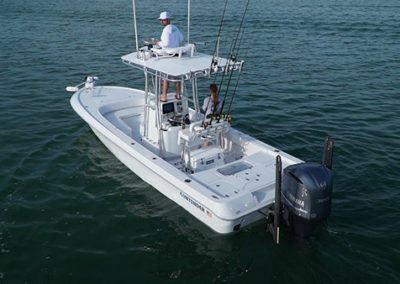 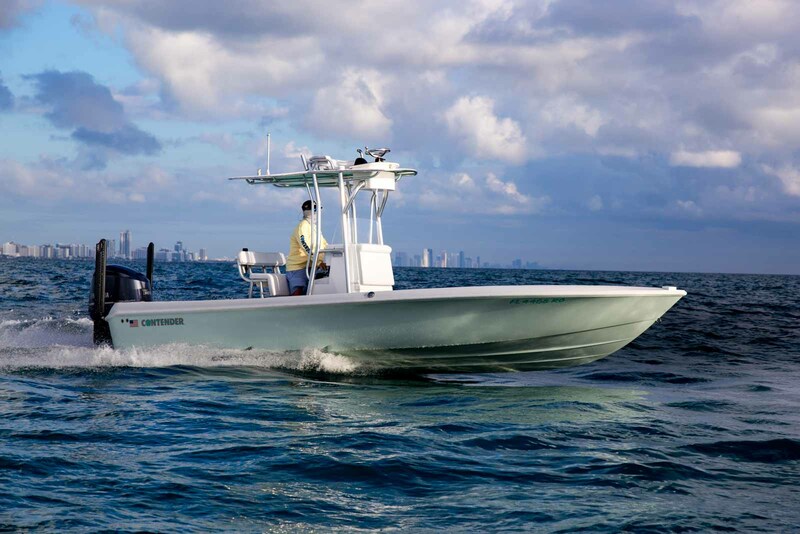 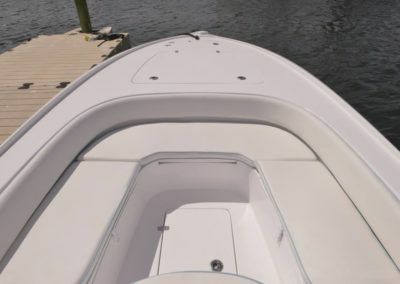 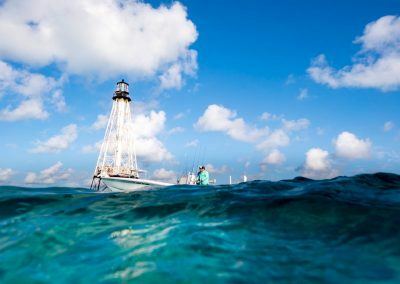 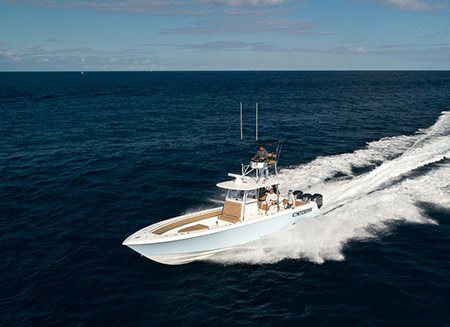 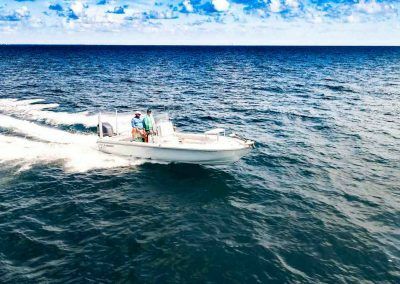 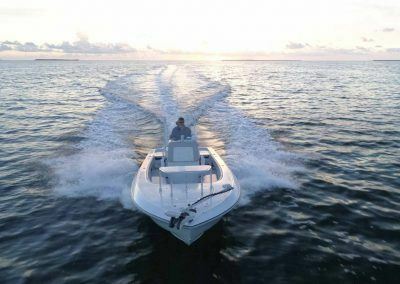 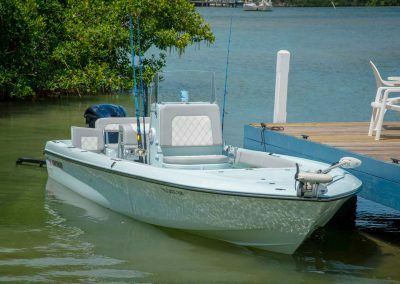 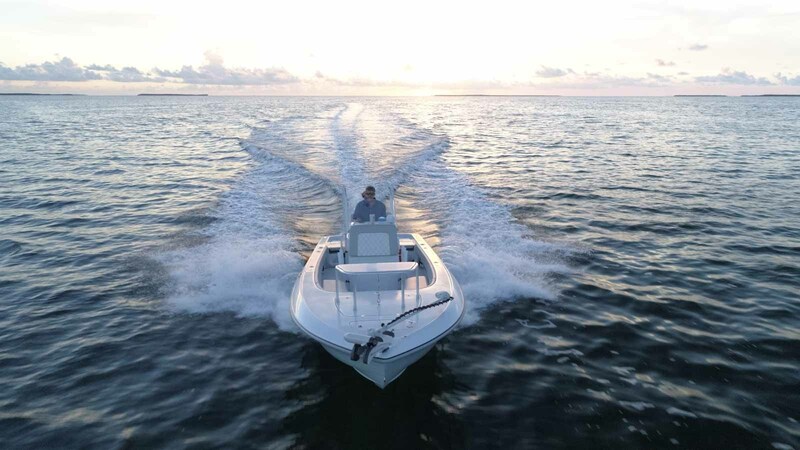 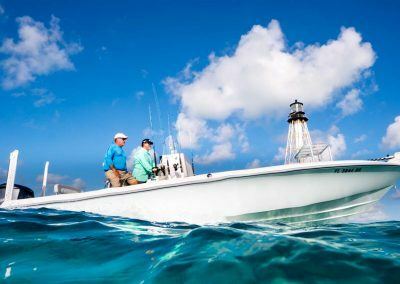 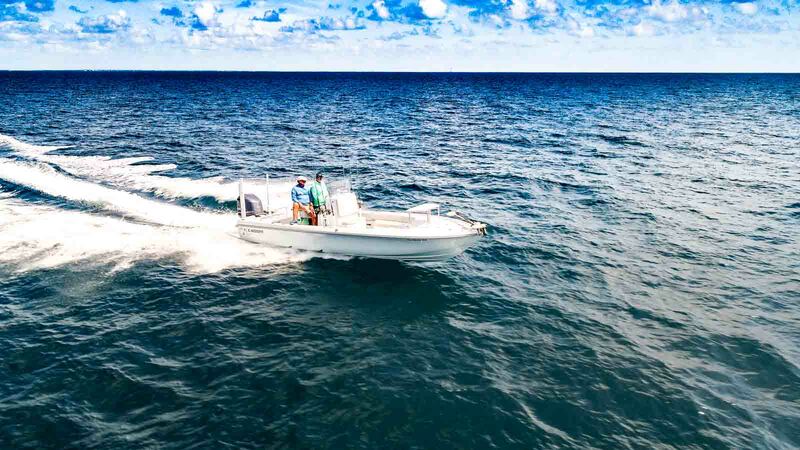 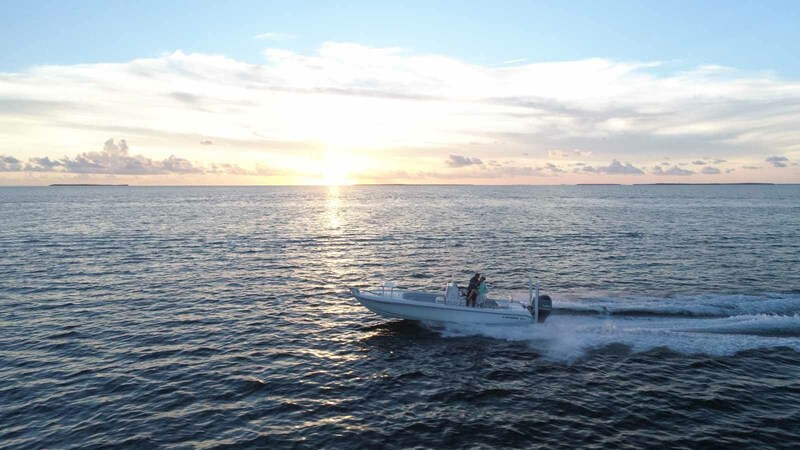 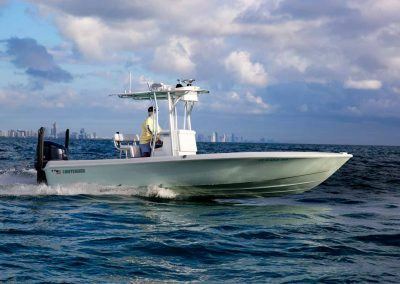 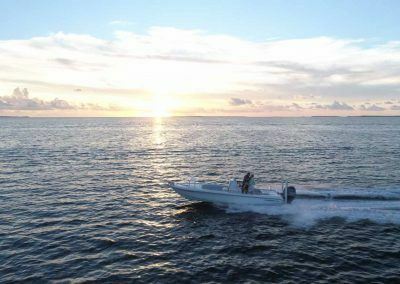 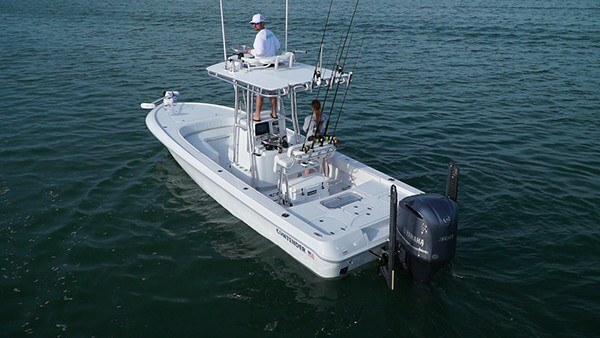 The 25 Bay is the perfect boat for those who love offshore fishing on calm days, and cruising around inshore on the bay. 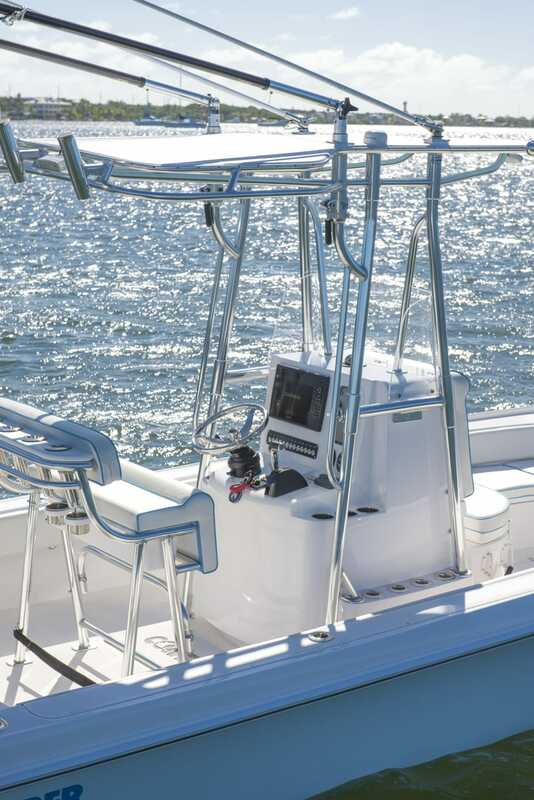 The 25Bay is built with custom options for tops, consoles, leaning posts, and electronics. Built to fish with live well plumbing, rod holders, electric reel outlets, trolling motors, forward casting platforms, and more. 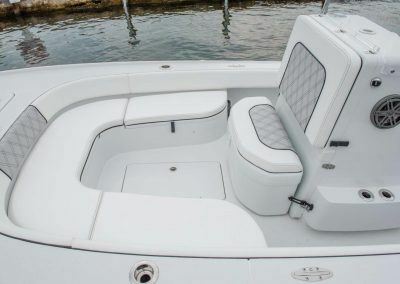 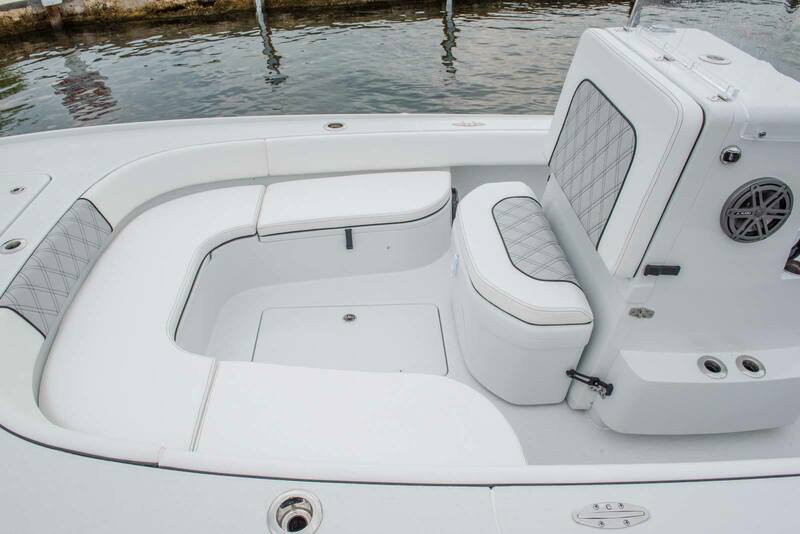 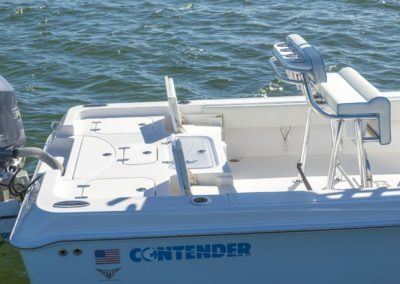 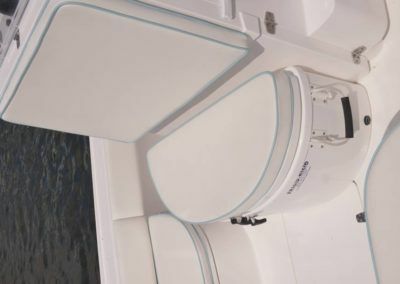 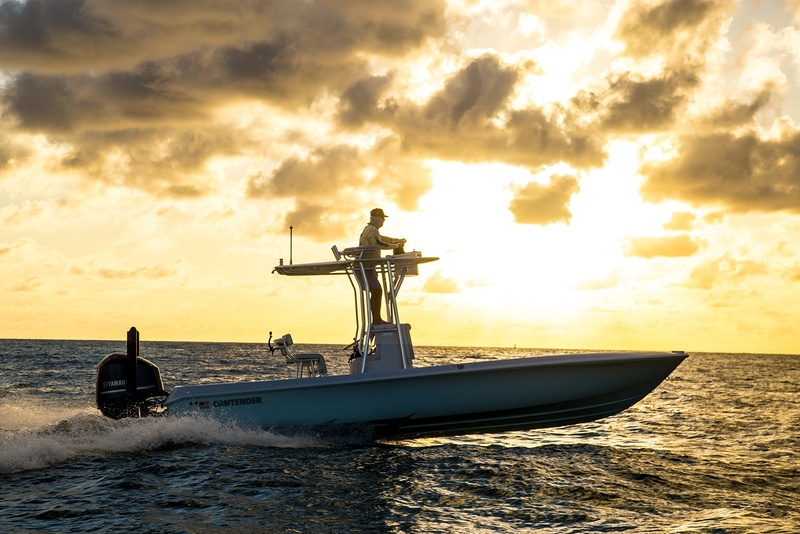 Every boat comes standard with forward seating in the bow, pop-up jump seats in the aft, and all around fishing mojo. 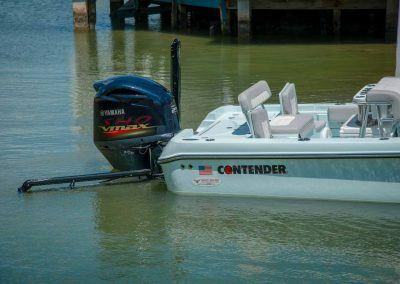 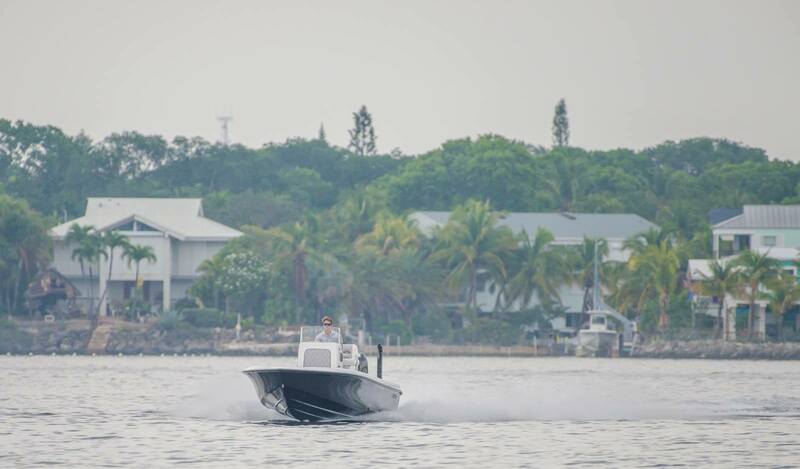 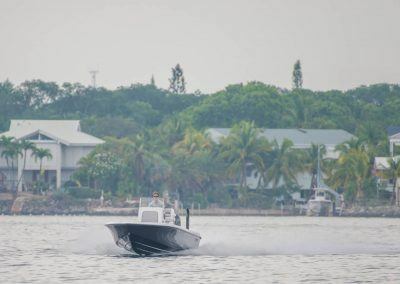 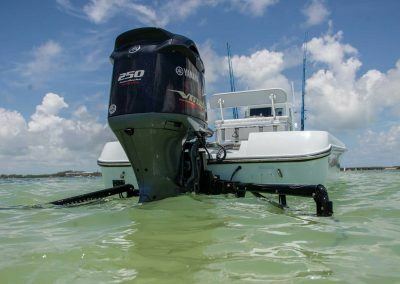 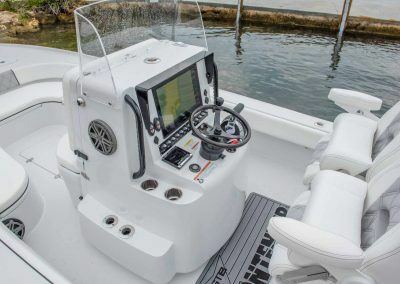 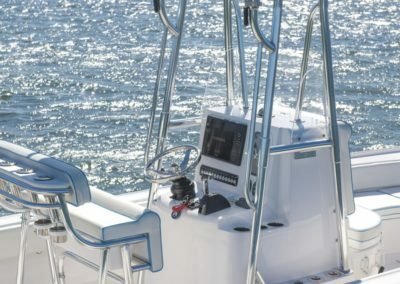 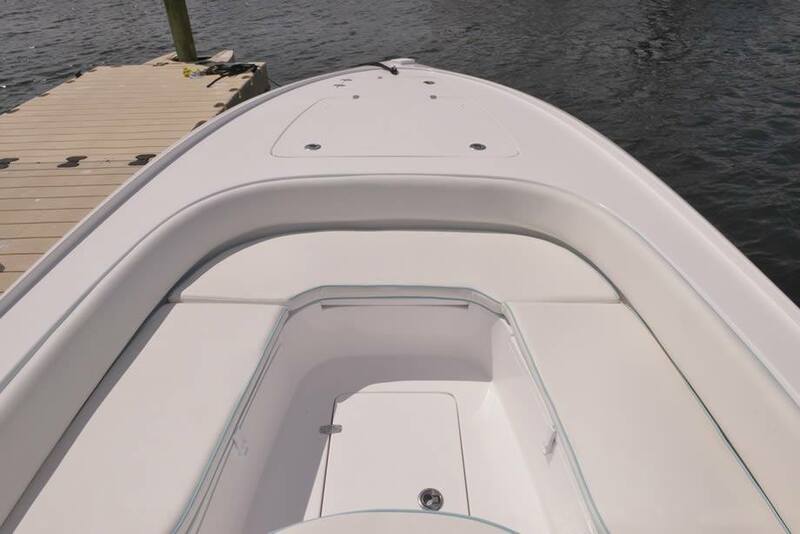 The 25′ Bay is the perfect machine for those long runs to the back of Florida Bay, or the drive across a bumpy Biscayne Bay when the breeze builds to blustery. A smooth fast dry ride is what makes a Contender the favorite of sports fisherman everywhere. 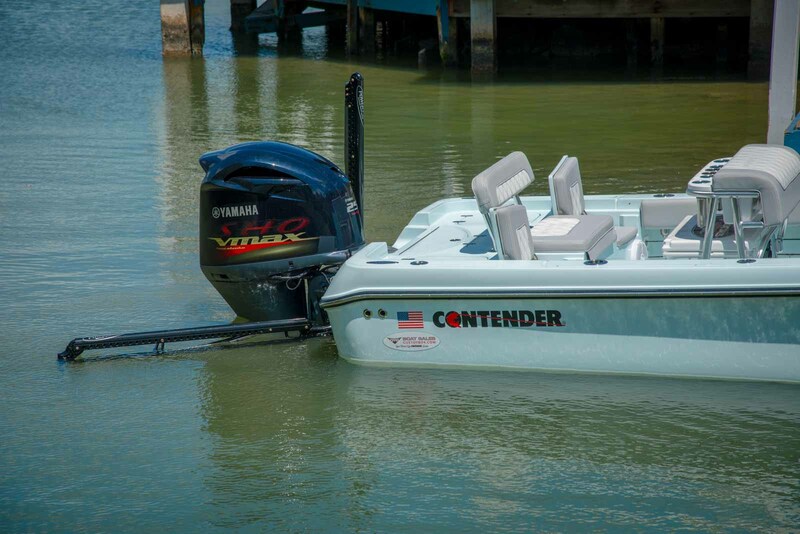 Built to fish, and built to last, a Contender gets the job done on the bay. 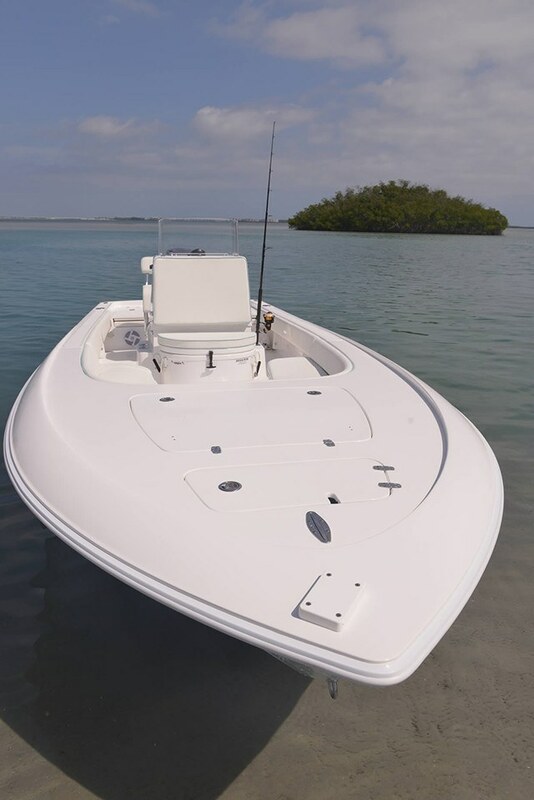 The result of the twin-­‐stepped hull configuration is a bay boat that runs extremely flat and is quick to plane. 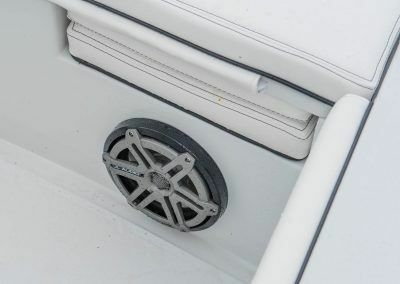 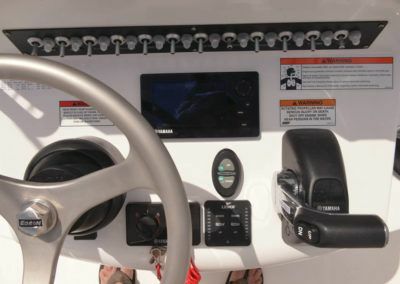 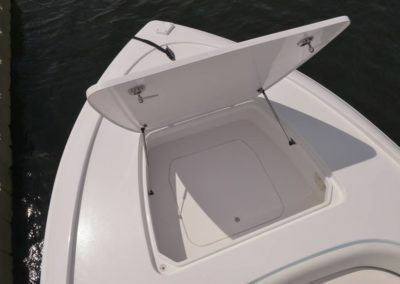 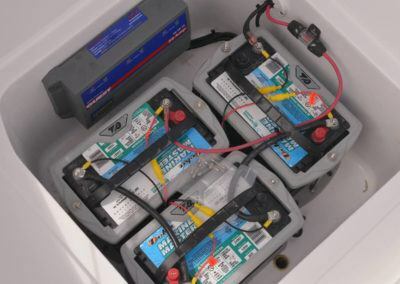 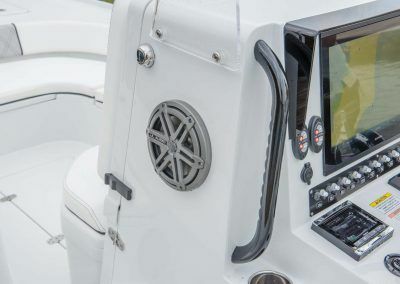 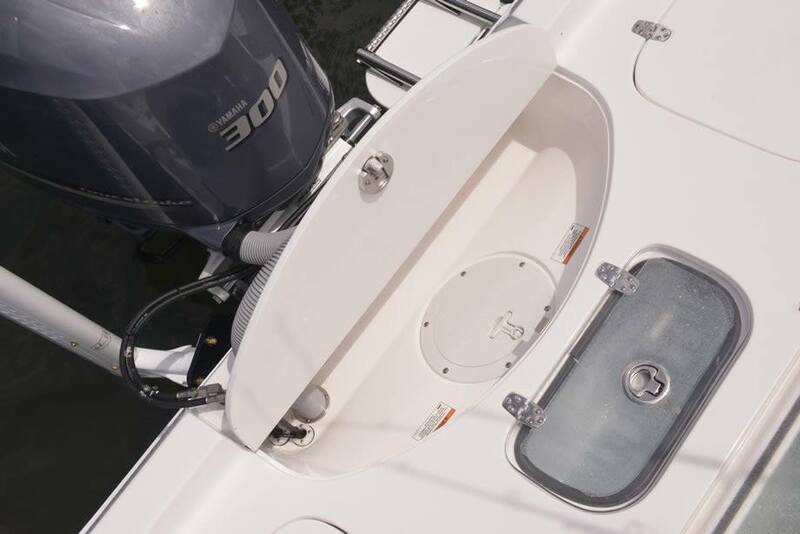 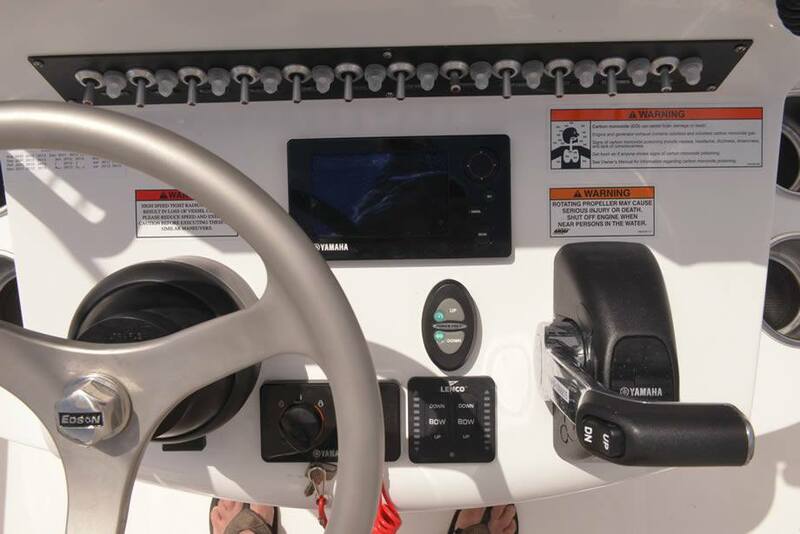 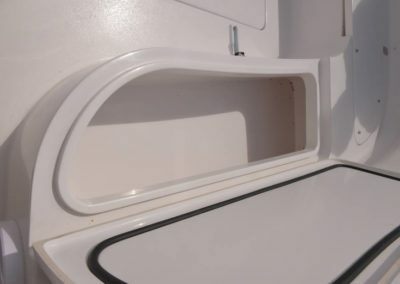 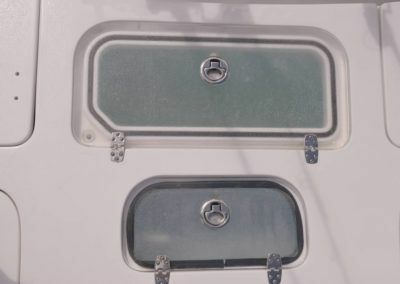 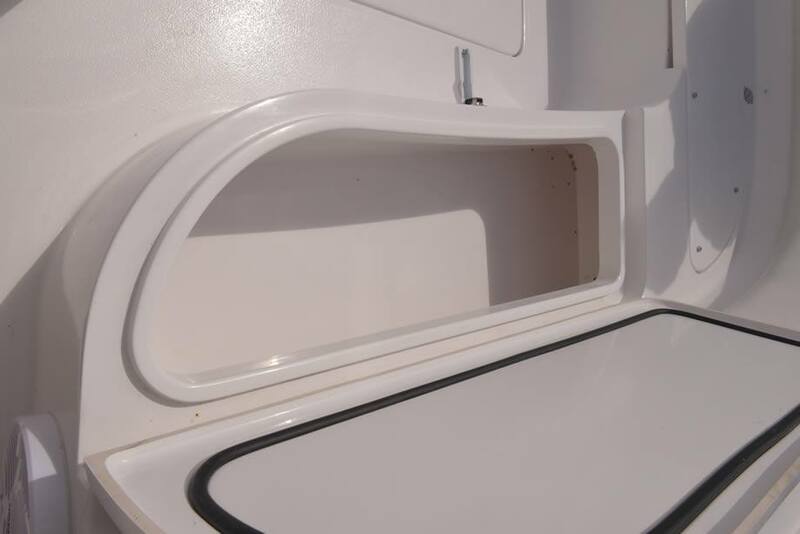 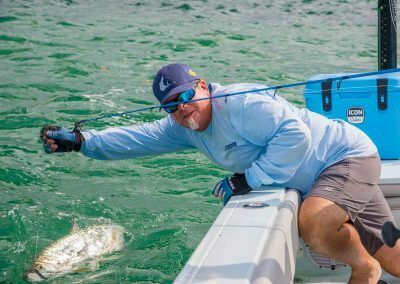 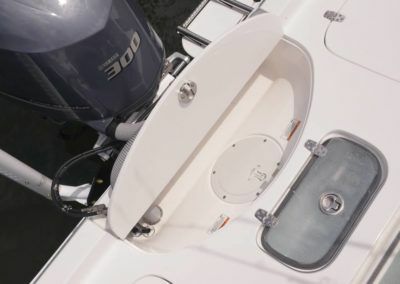 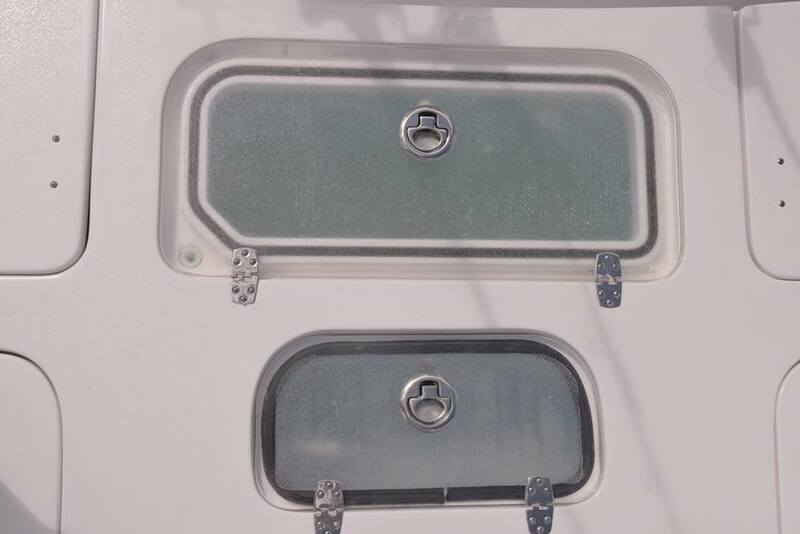 With the use of a jackplate, this means the boat can get on plane very quickly in very little water – something of great value to the flats fisherman. 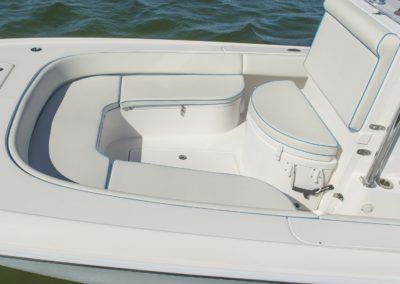 However, the 25 Bay is no slouch when the going gets rough either. 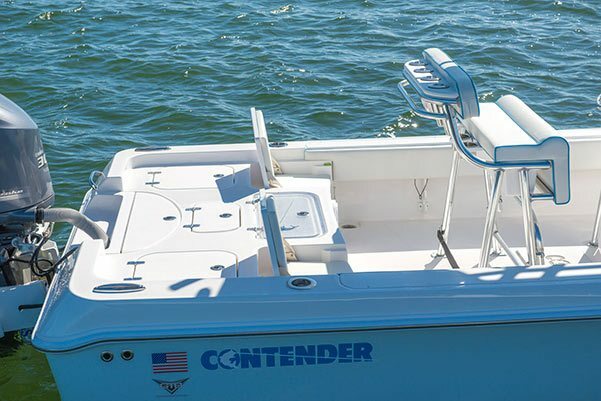 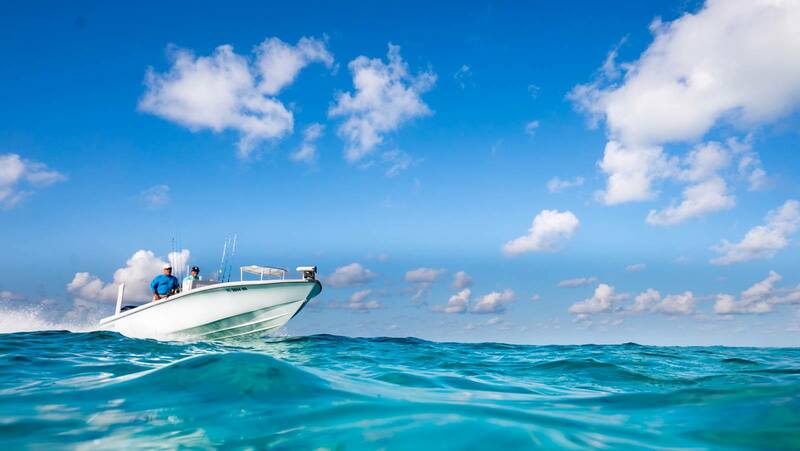 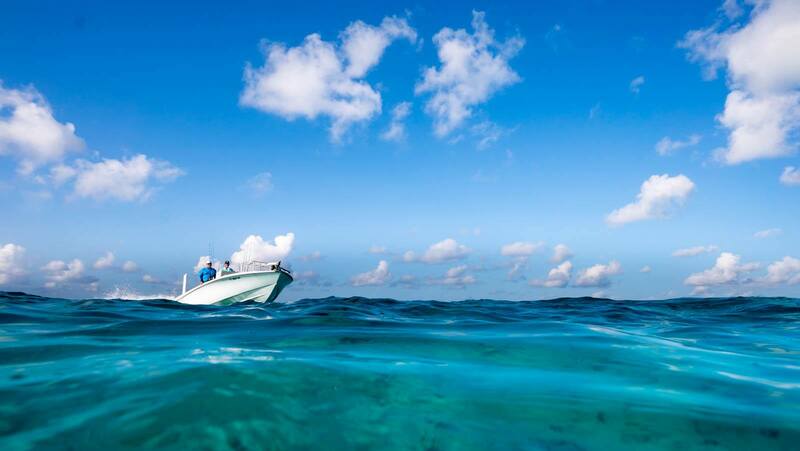 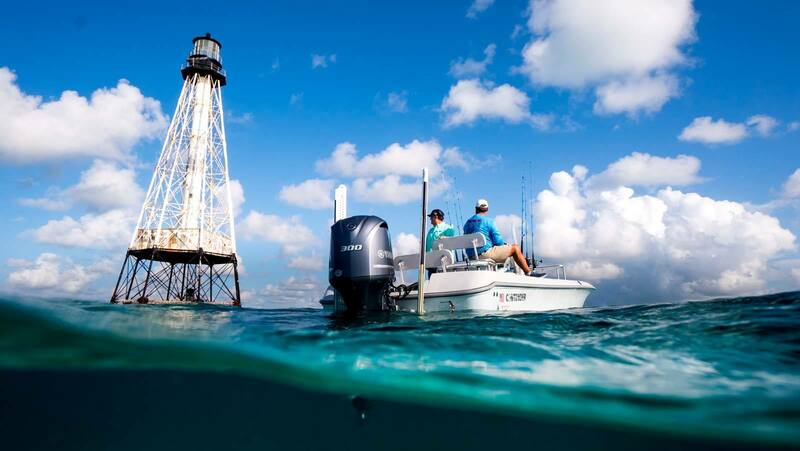 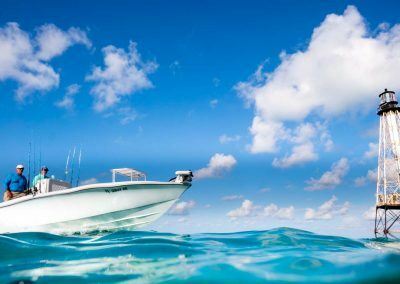 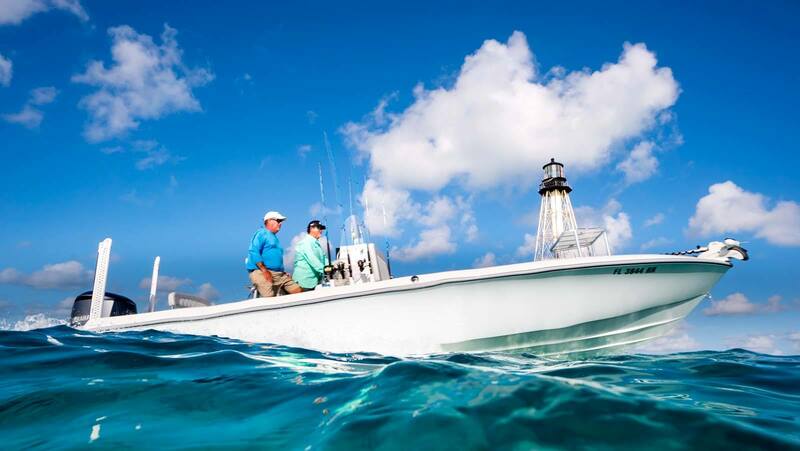 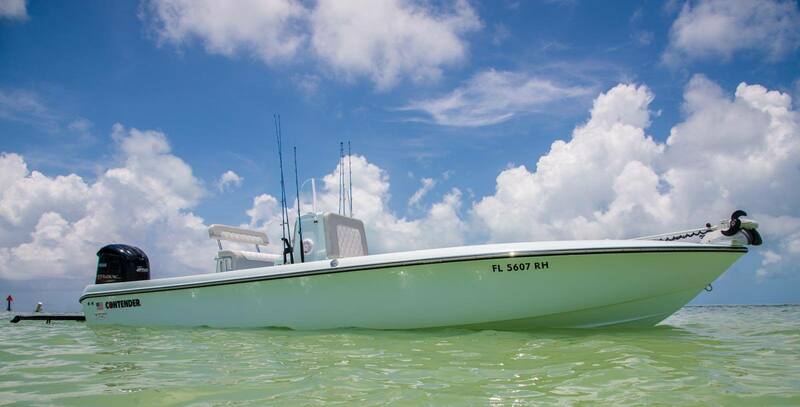 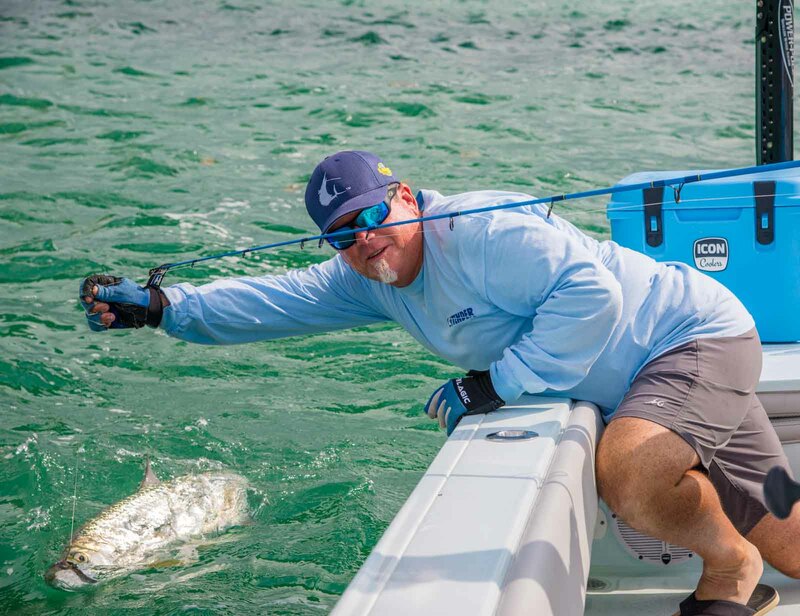 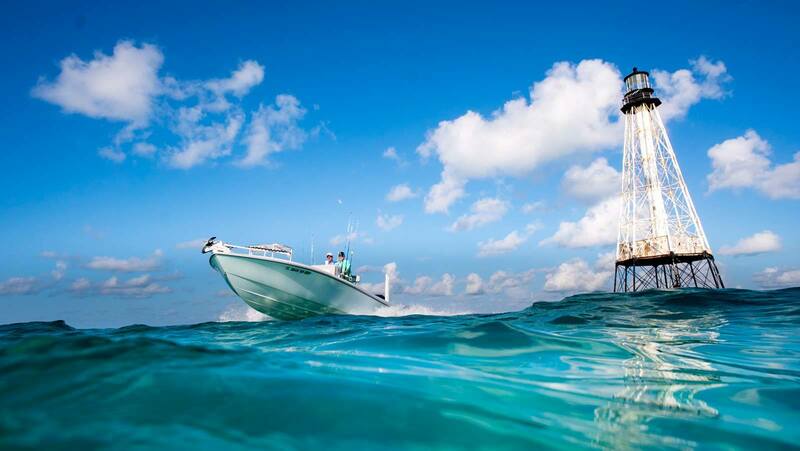 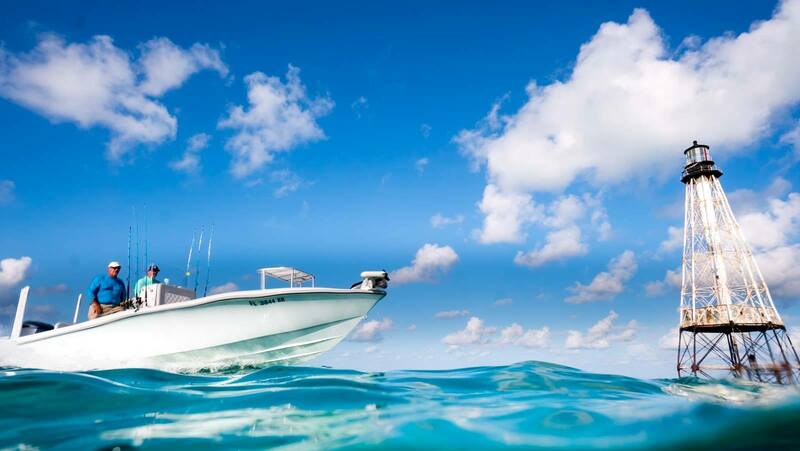 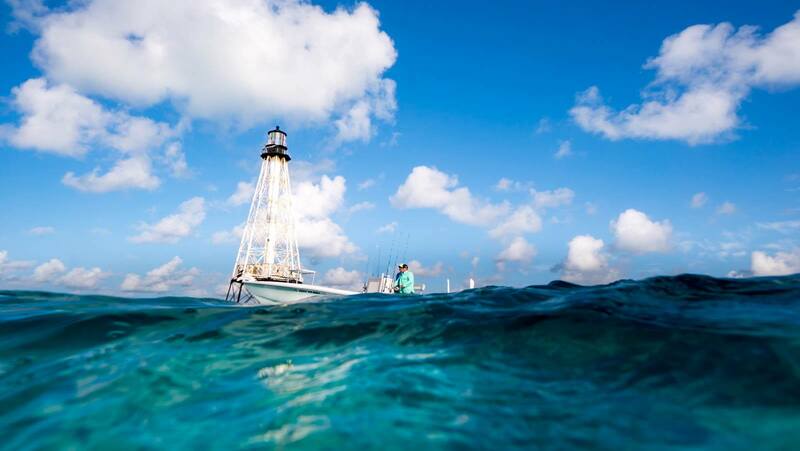 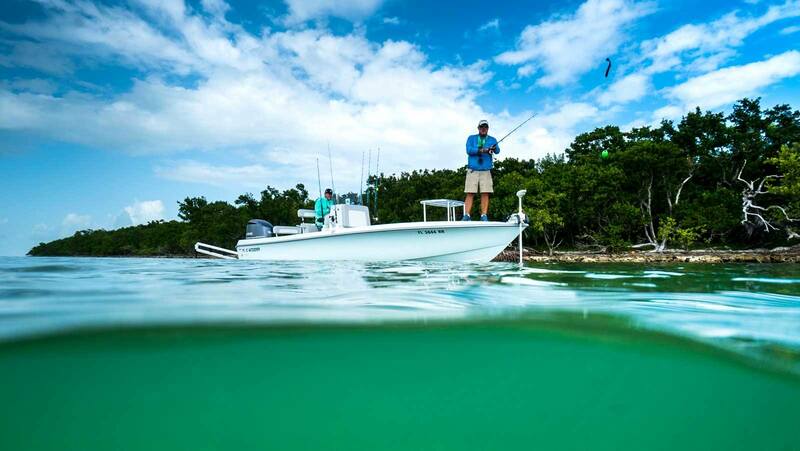 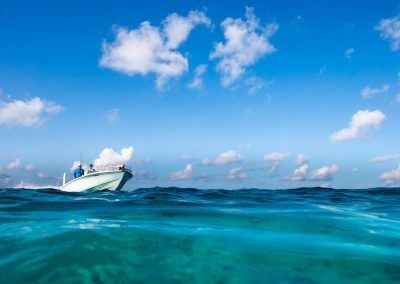 From skinny water to blue water, this boat gets the job done. 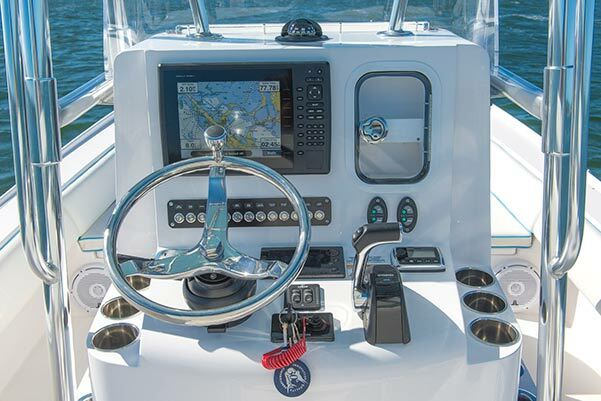 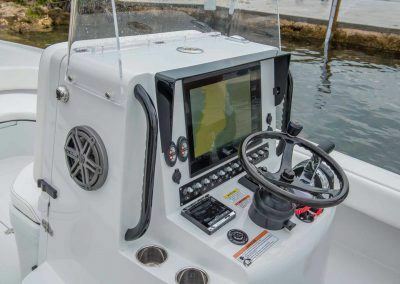 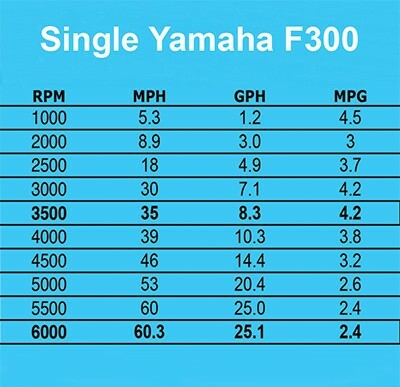 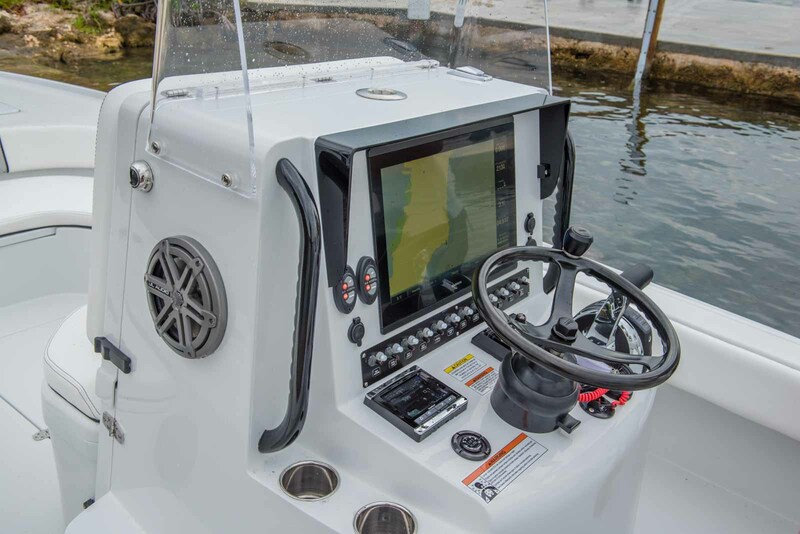 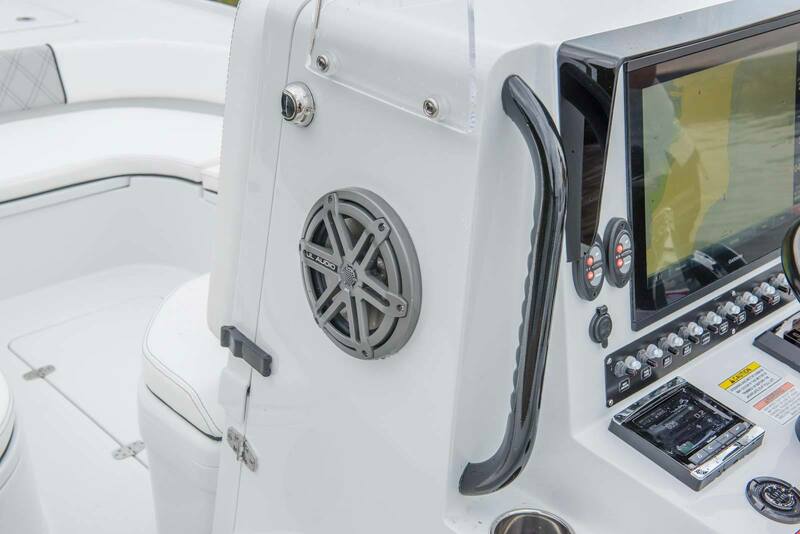 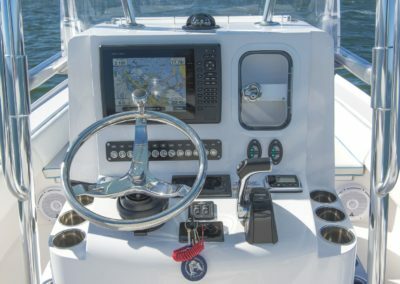 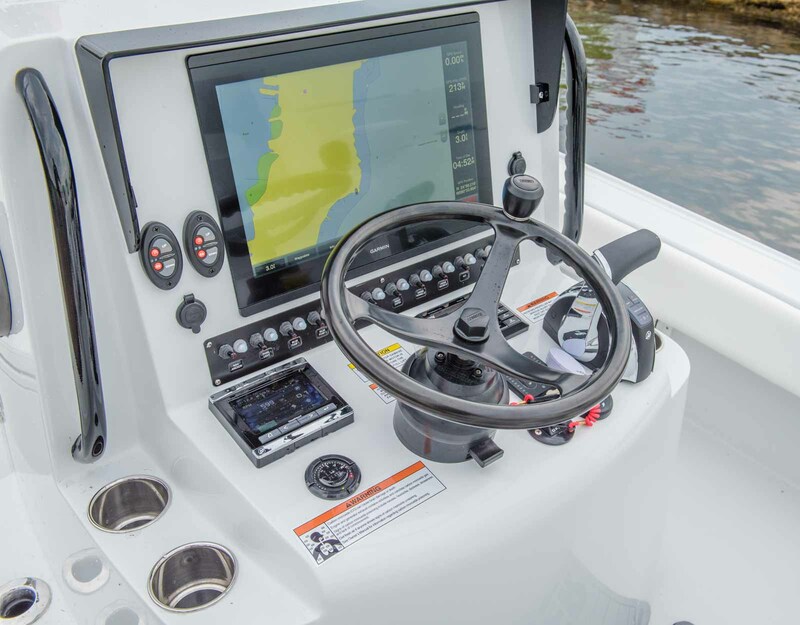 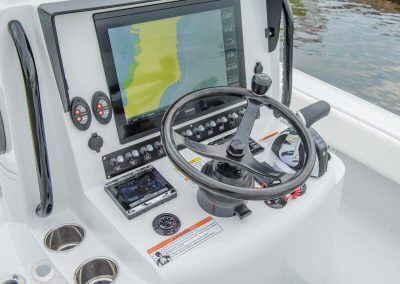 Choose your custom helm options: GPS, electronics, and marine sound systems. 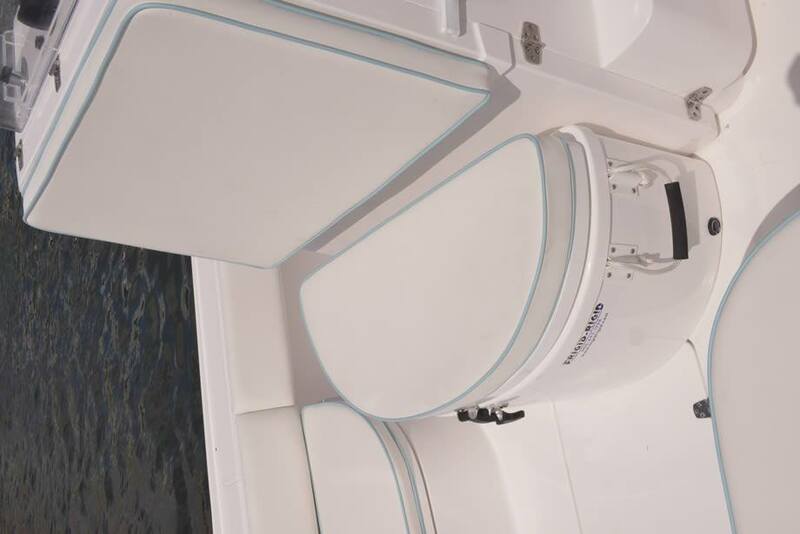 The 25′ Bay has comfortable seating around the abundance of live wells. 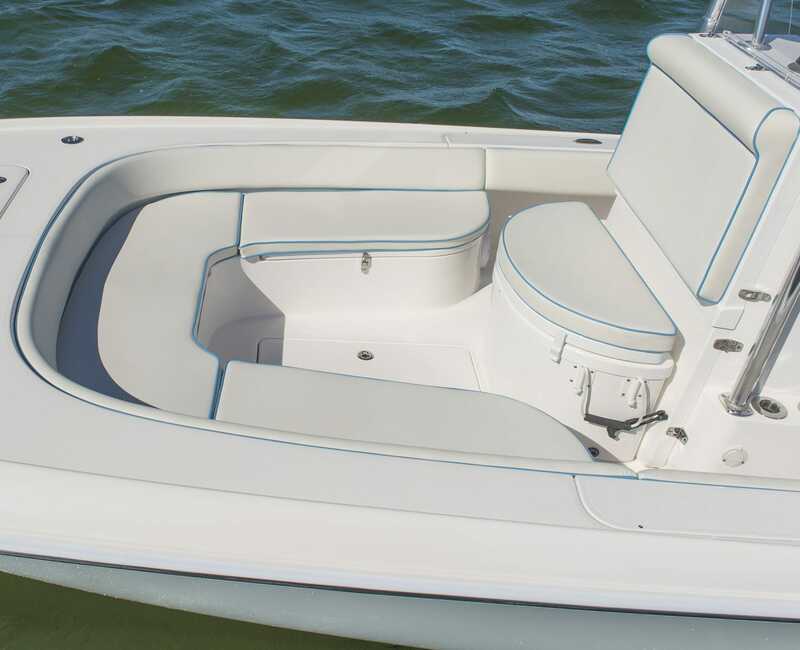 Breeze back in your bay with 25′ of bay boat beauty. 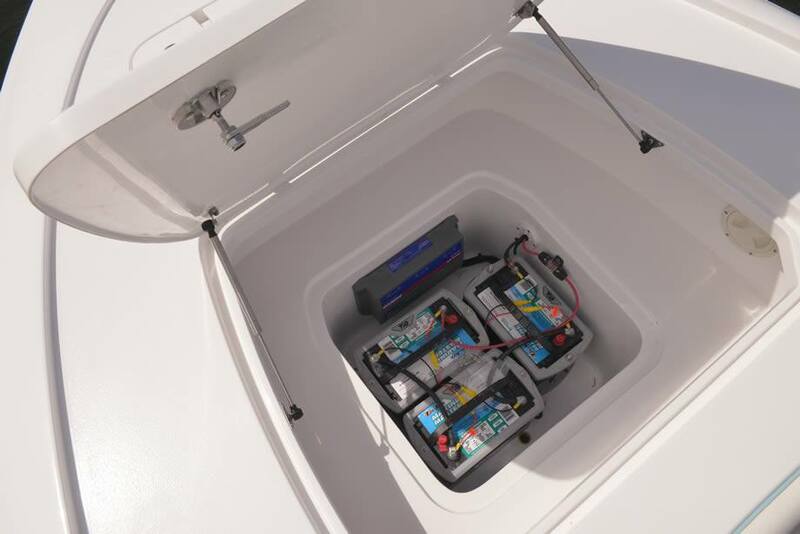 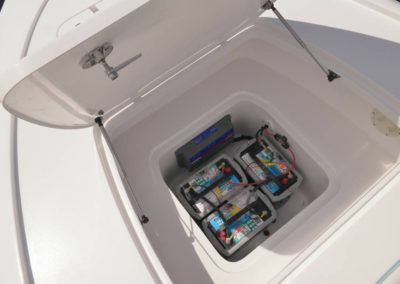 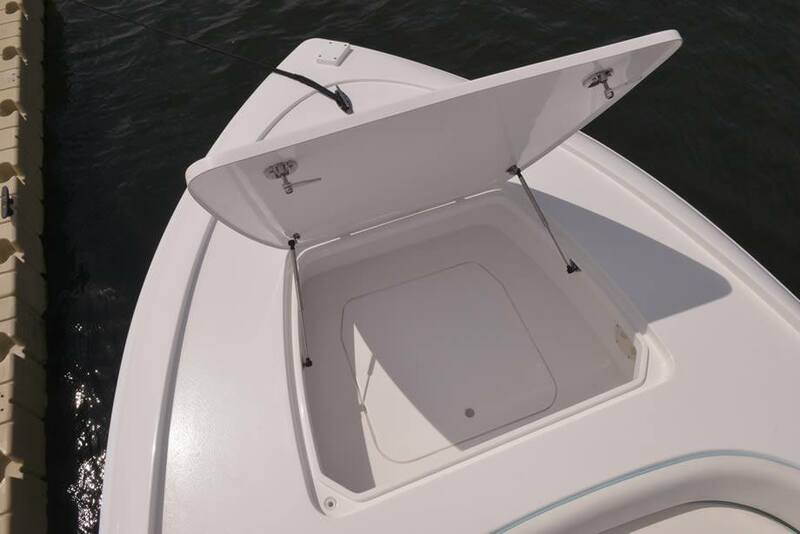 Rigged with flush mount gunnel rod holders, under gunnel rod racks, over 40 gallons of livewell and 180 quarts of insulated fish boxes, you’ll be bringing back the bay bounty with enough space to keep everything dry when it rains. 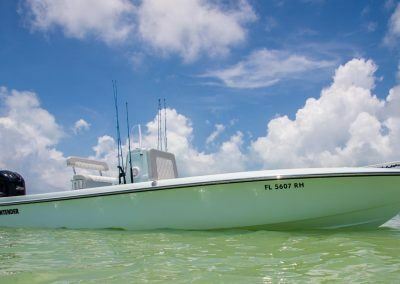 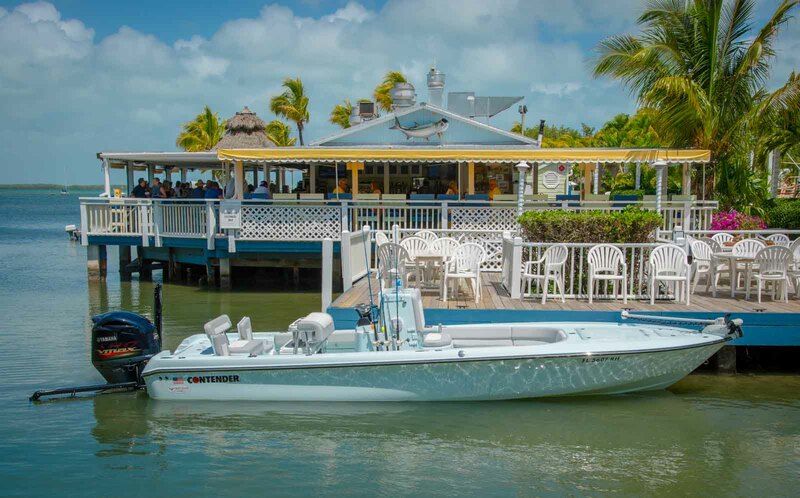 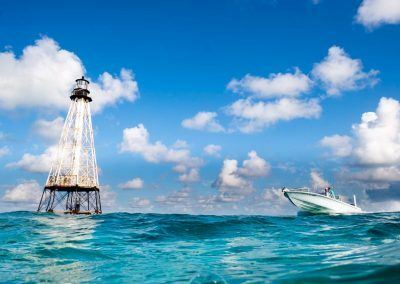 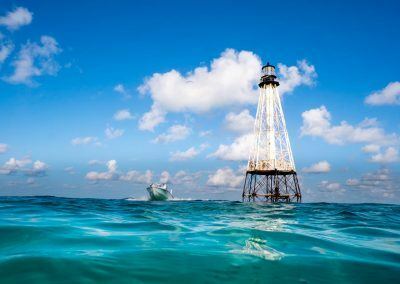 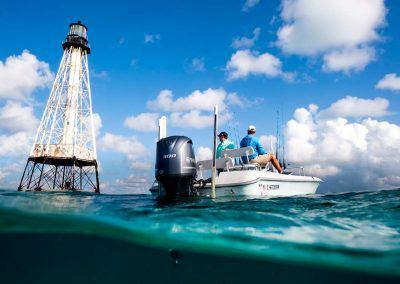 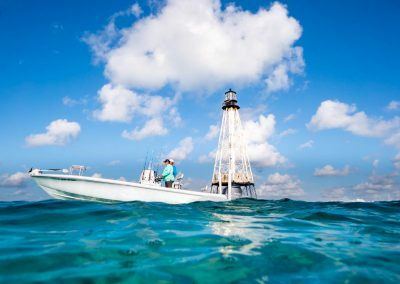 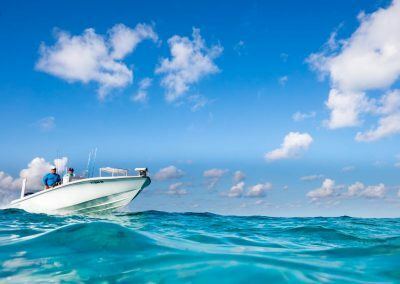 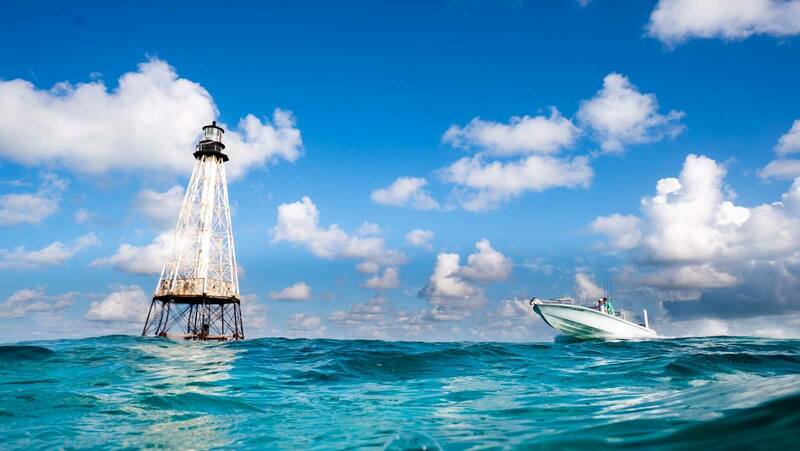 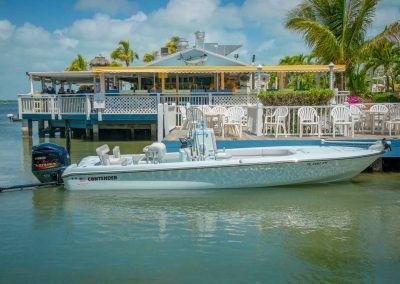 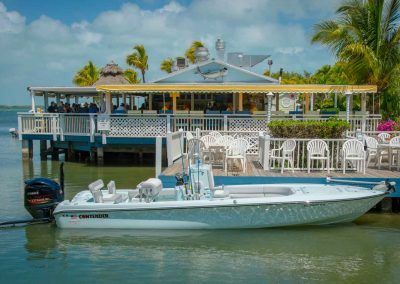 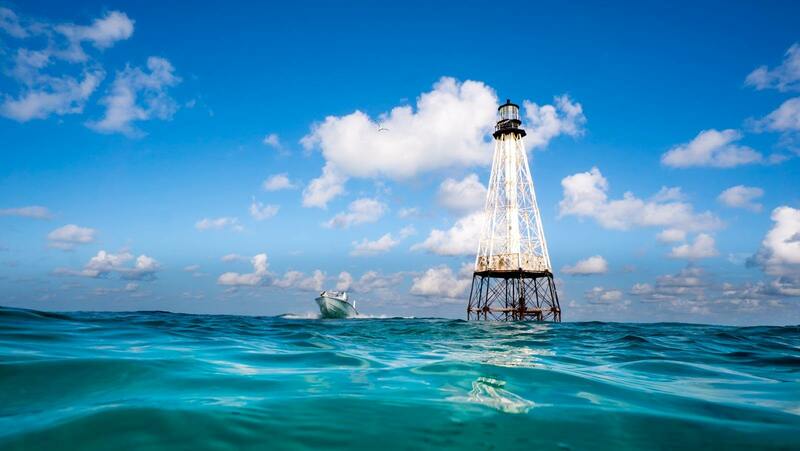 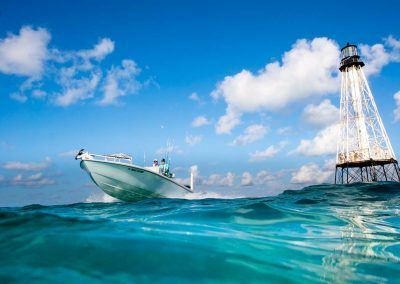 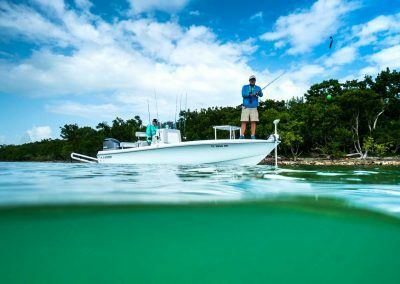 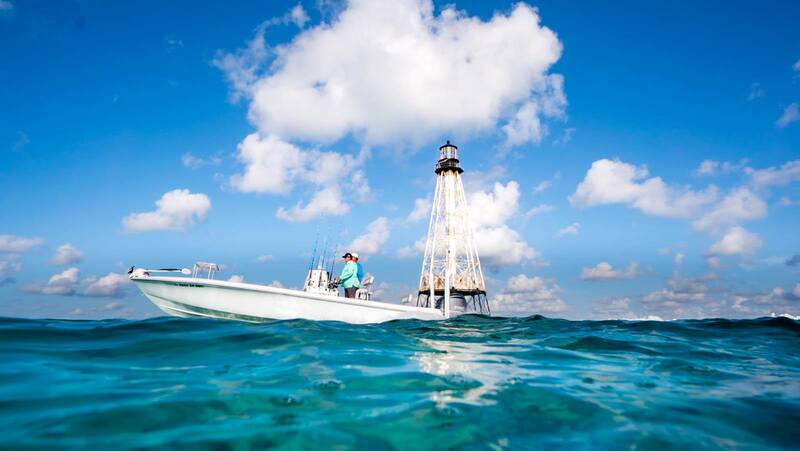 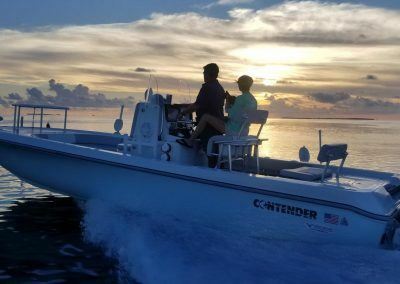 Bring back the bounty by preparing with bait, ice, dry and cold food storage, and all the creature comforts you need to make for a great day on the water in this best bet little bay beauty.